What Is a Limited Lifetime Warranty for Roofing? Why Choose Red Dog’s Roofing? Unlike previous warranties available for shingles (which lasted only a certain amount of years — e.g. a 30-year warranty), the GAF (the largest roofing manufacturer in North America) started issuing limited lifetime warranties for shingles that fail. Nowadays, these limited lifetime warranties can provide a payout to homeowners for the prorated value of their shingles, should they fail within the bounds of the warranty. These warranties only cover the roofing material costs (e.g. the cost of shingles). Now, limited lifetime warranties don’t include warranties that cover workmanship provided by a roofing contractor. As such, some contractors opt to offer their own warranties to cover their workmanship, and they’ll provide some coverage against roof leaks for a specific amount of time (often three years). It’s these workmanship warranties that can vary greatly from contractor to contractor. Red Dog’s Roofing of Florida is proud to offer an exclusive warranty on our asphalt shingle products in combination with a warranty that covers our workmanship — beyond what you’ll find in a traditional limited lifetime warranty. 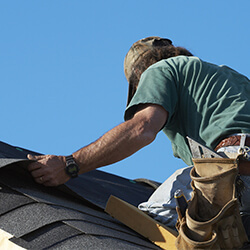 Some roofing manufacturers will partner with roofing contractors to provide a combined warranty that protects both the shingles and the workmanship produced by the contractor. These warranties offer premier coverage, and that coverage is wholly backed by the roofing material manufacturer (instead of the contractor and/or the manufacturer). Owens Corning™, for example, partners with roofing contractors via the Preferred Contractors Program — whereby, certain roofing contractors can attend training, earn a certification, and then offer an unparalleled Preferred Protection Roofing System Warranty. 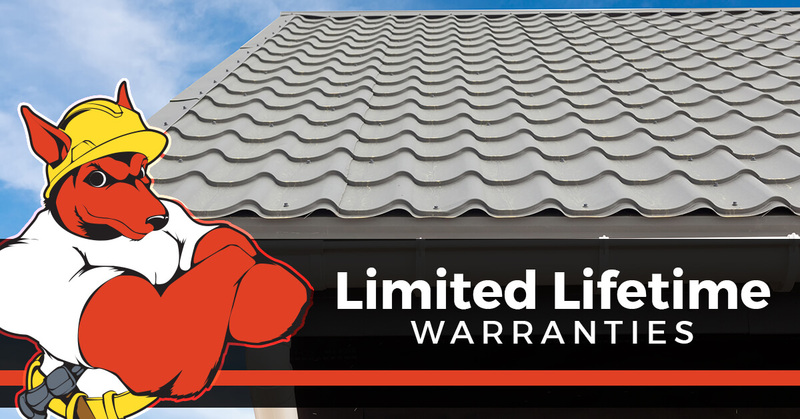 This exclusive warranty exceeds other warrantied products and workmanship available through roofing contractors or manufacturers. With a Preferred Protection Roofing System Warranty, homeowners will enjoy warranty coverage against defective shingles for a full 50 years, as well as coverage against workmanship failure for a full 10 years. This warranty provides peace of mind for homeowners, and it’s an assurance that a roofing failure won’t be costly, even if it’s unexpected. Here at Red Dog’s Roofing of Florida, we’re proud to say that we’re Owens Corning Preferred Contractors, which means that we can provide unparalleled warranties on our roofing installations. We recommend that our clients shop around for the right shingle, the right contractor, and the right warranty to ensure that they have reliable roofs over their heads. If you’re looking for the perfect contractor to work on your roof, look no further than Red Dog’s Roofing of Florida. You can learn more about our Preferred Protection Roofing System Warranty, or if you’re ready to get started, feel free to reach out to us. ©2017 Red Dog's Roofing of Florida Inc.® - Do not copy. All rights reserved.